WonderHowTo has seen its fair share of dragon-related projects, from dragon wings, to dragon kites, to less-complicated origami dragons, but we've yet to see anything quite like this. 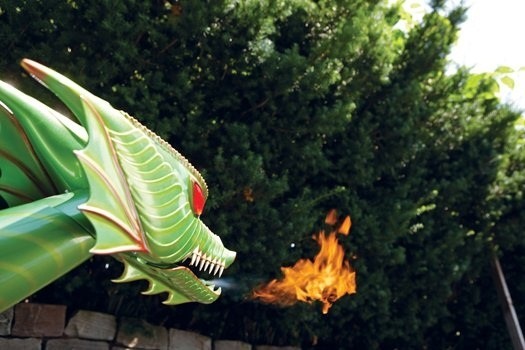 Radio-control plane builder Richard Hamel built this incredible seven-foot-long, fire-breathing dragon using a JetCat P80 turbine and a 50,000 volt stun gun, with a 2.4-gigahertz touchscreen radio controller to fly it. 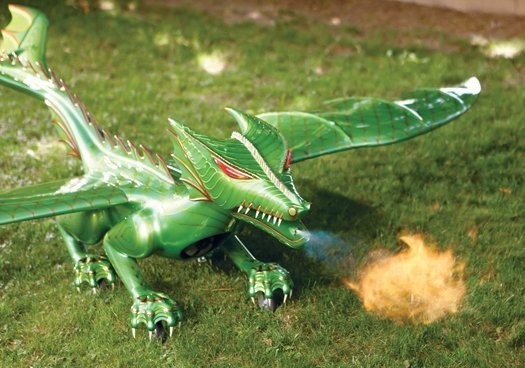 Because of the turbine, the air that comes out of the dragon can reach 500mph and 1,400 degrees, so to keep everything from melting, he made a double-walled stainless steel exhaust. 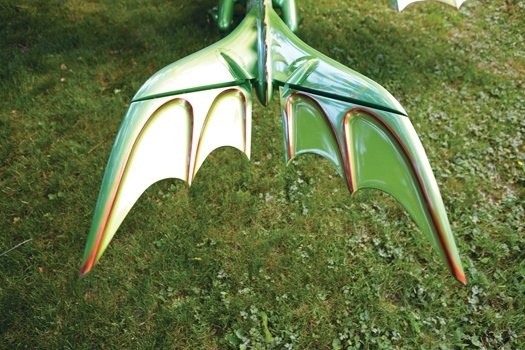 The tail was inspired by DreamWorks' How to Train Your Dragon animated film. 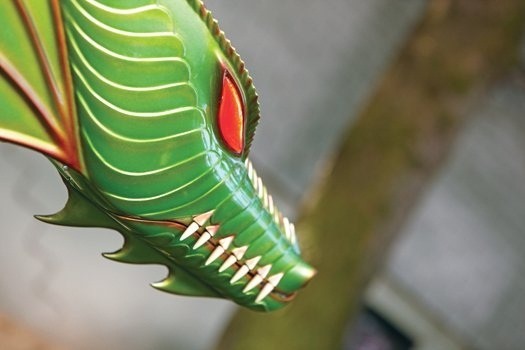 Hamel also gave his dragon red LED eyes and designed the scales and teeth by looking at tons of clip art dragons and choosing his favorite features. Check out the article on PopSci for more details. What would make this even better? Cameras behind those red eyes and a monitor, so you can control it more deviously right from your couch (much like this lawn mower). didnt look like 100mph to me was that just a theory on the speed or is that a tested fact? He says it reached 100mph in a test flight but he usually keeps it around 70mph because "he wanted people to see it when it banked." I think she meant "reached over 100mph".